Little Miss is constantly 'making tea' and loves her mini china teaset. 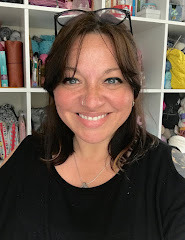 Browsing some of my favourite blogs this week, I spotted a gorgeous toy teacosy which gave me the idea for these silly little things. Of course, being on a "granny chic in 4 ply" binge, I had my own take on it using a 2.5mm hook and some scrap Rowan and Patons yarns. As you can tell, it took no time at all to hook up this morning, and knowing she liked the pink yarn when it was spotted earlier, I'm pretty sure she's going to enjoy playing with it when she gets home. 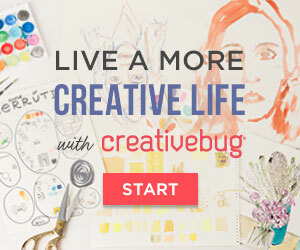 Links for today are FO Friday & Creative Friday where you'll find far more sophisticated work! What a wonderful idea! So cute. That is so cute! I've a little princess here who adores having tea parties also and would love something like this, I guess I better get better at crochet lol ! Sounds like you've a busy weekend in front of you, hope you fit everything in ! Adorable! That will make the tea parties all the more fun. So lovely and pretty! What a cute idea. Greetings from Germany. Sabine. Super cute!! great way to use up little bits of yarn. That is so cute, she is going to LOVE it. So sweet project! Have a great weekend. Aww, how adorable. I want to play with her tea set now too. What fun! I bet she'll love it. How cute. I like Little Miss' tea set. I still have my Holly Hobby set from when I was small. very cute, my girls would love some tea cosies for their teapots - apparently they need 3!. Super cute! 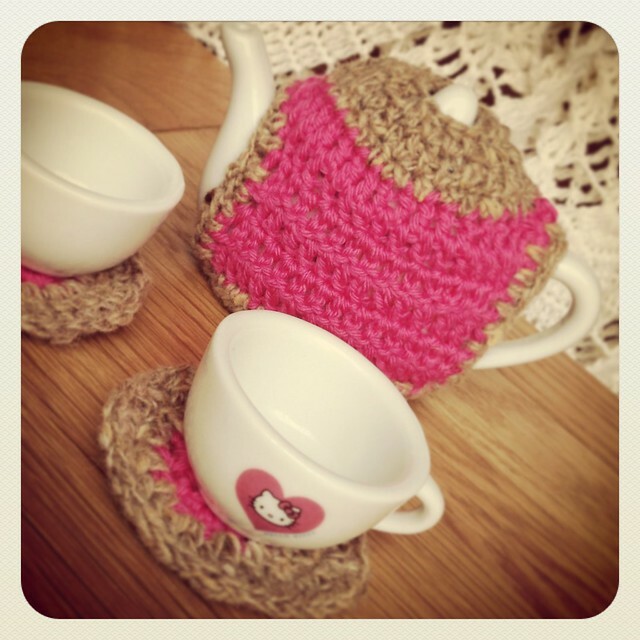 My little one is always playing tea too and was my inspiration for my tea set crochet pattern! I love how our kids can encourage and inform the design process! Don't get too tired during your "relaxing" weekend! Oh! That is so sweet and I'm sure she's going to be ecstatic over it! It goes perfectly with the Miss Kitty tea set! Nice job! Oh boy does this pic bring back memories of me playing with this green tea set at my mum's. My daughters have even played with it a few times. Great tea cozy. Your lil' one will be delighted. Lovely! I love the colour combination! I love it. I really want to make a tea cozy but I love every single one I see, so I can't decide where to start!